This tangy, arugula-topped pie is the pinnacle of plant-based comfort food. Ah, pizza. Possibly one of the most universal comfort foods — you’ll be hard-pressed to find someone who simply “doesn’t care” for pizza! So all the more reason to make it friendly to every lifestyle, including vegan. 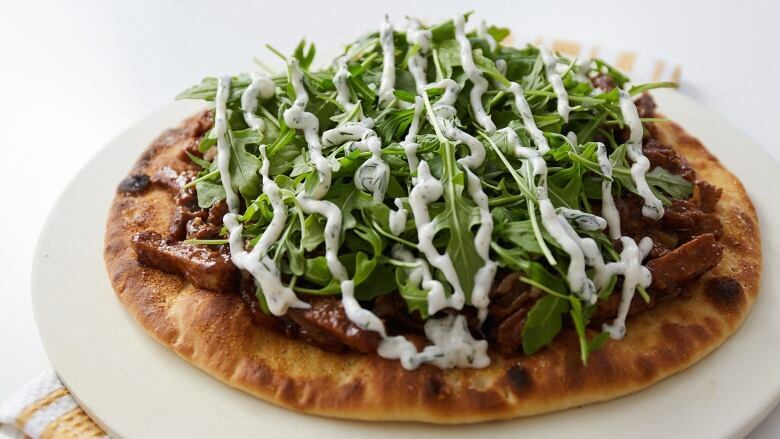 This pizza is topped with hearty BBQ vegan chicken, fresh arugula, and homemade, dairy-free ranch sauce. You’ll fall in love with the balance between creamy tanginess and satisfying spice that this pizza provides — all the flavours you could ever want. Heat a pan over medium heat with olive oil. Add red onions and a pinch of salt. Let the onions cook down a bit. Add shredded tofu chicken burgers and the vegan BBQ sauce. Mix until thoroughly heated. Remove from heat. Brush a thin coating of olive oil on your pizza crust. Sprinkle with garlic powder and sea salt. 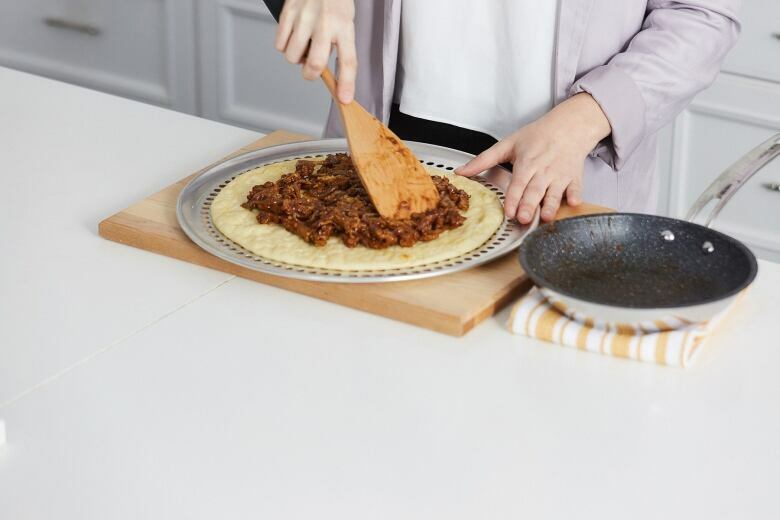 Top your pizza crust with the BBQ chicken topping. Stick your pizza in the oven to broil for a few minutes. While that’s heating, let’s tackle our vegan ranch sauce. 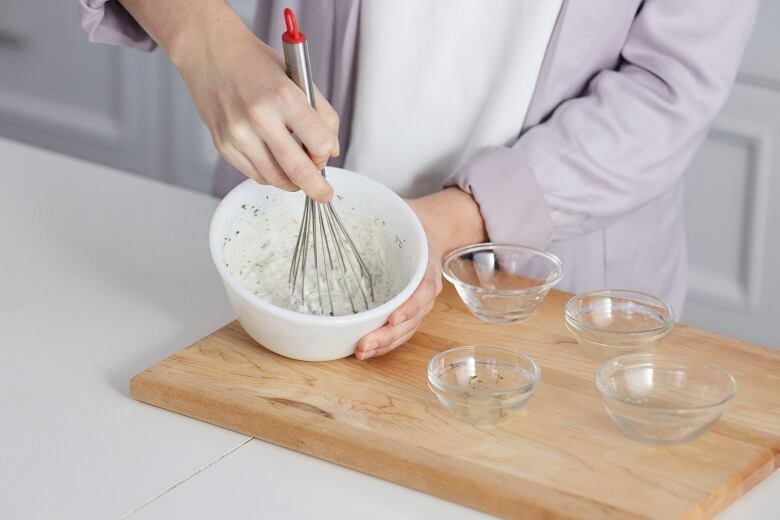 In a mixing bowl, add your vegenaise, water, apple cider vinegar, dill, parsley, salt, onion flakes, garlic powder, and pepper. Whisk until thoroughly combined. 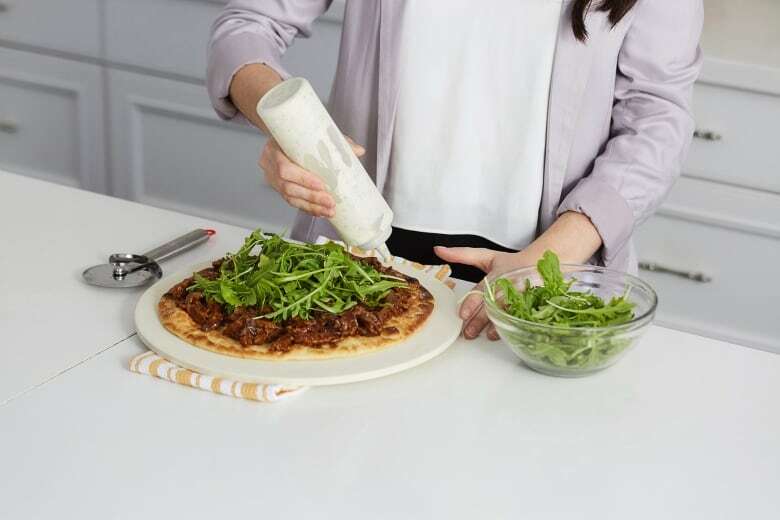 Take your pizza out of the oven, and pile a high amount of arugula to it while the pizza is still warm. Pour your ranch over your pizza, and dig in!